There’s a romanticism to Star Trek’s breed of science fiction. “Space: The Final Frontier.” Such a quietly elegant way to describe the fact that for thousands of years, humanity has looked up at the big blue dome above our heads and pondered the unknowable. Millions of stars. Billions of planets. An interminable push-pull on the question of whether we are, in fact, alone in this universe—whether we are unique, or whether there are others out there in the universe pondering these same questions. This idea of exploration, of Lewis and Clark rocketing through space in a vain attempt to chart the unchartable, is intoxicating. 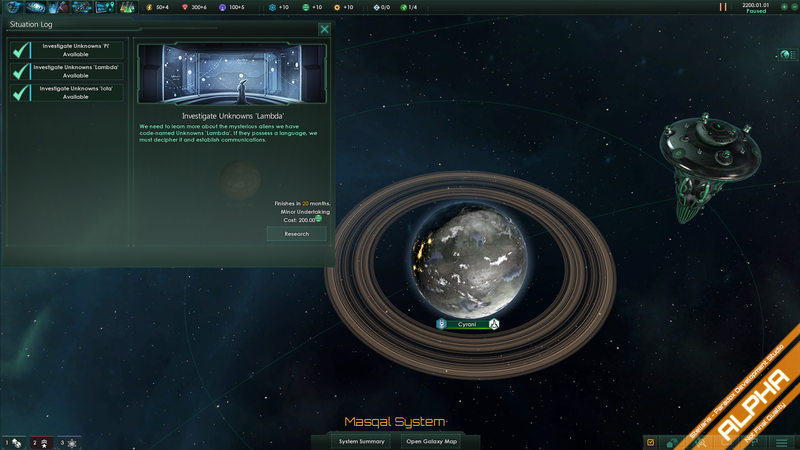 And it’s what has drawn me towards Paradox’s latest grand strategy game, Stellaris. 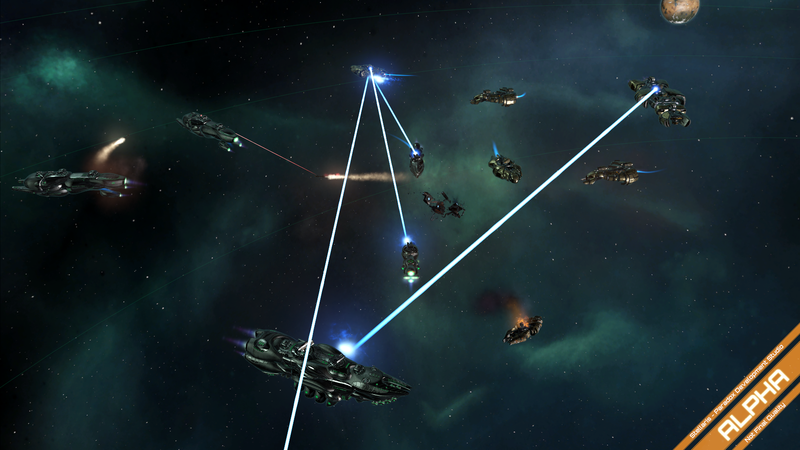 Paradox described Stellaris to me in August, but last week I got the opportunity to see about an hour of the game. Not play an hour of the game, unfortunately, but watch it be played. 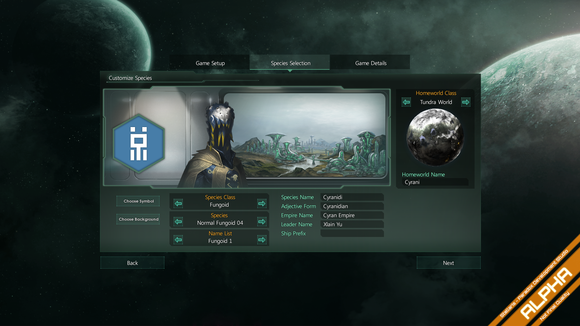 Even hands-off I came away intrigued though, mainly because Stellaris will enable me to play a science fiction game the way I’ve always wanted: Peacefully. Or, at least, with the best of intentions—like the crew of the Enterprise, off gallivanting around space on a mission to explore strange new worlds, to seek out new life and new civilizations, to boldly go where no one has gone before. Cue inspirational music—but keep the photon torpedoes handy in case something goes wrong. This proclivity towards peaceful discovery is uniquely Paradox, though. It’s why I, despite the immense learning curve and the brick wall of a user interface, keep coming back to Paradox's titles. They are sandboxes, not board games. “Winning” is a largely arbitrary metric. What matters are the stories you tell afterward. It’s a claim many make but few follow through on, especially in the strategy genre. In Europa Universalis IV, for instance, it’s what allowed me to “discover” the New World fifty years ahead of schedule and build a massive Portuguese trade empire before the Spanish had a chance. But there’s a level of artifice to Europa Universalis because it is, after all, constrained by reality. You’re not actually “discovering” America because obviously you live in 2015 and America has already been discovered. Stellaris, freed from the bounds of history, allows for true exploration. My demo began with us constructing a galaxy of 1,000 stars, each with multiple planets. What’s out there? Nobody knows. No, seriously. Nobody knows. We started in control of one small star system, our home planet second from the sun. All we knew for sure was there were at least thirty other procedurally-generated alien races somewhere out in the galaxy. And I say “at least” because those are only the competitors tracked by the scoring system. With our small fleet of ships, we sent to explore first the outer areas of our own solar system and then to the nearest neighboring star. And we immediately encountered strange pink crystals. Living crystals, as it turned out. From there, we had a choice: Research these crystals or fight them. Sure, you can play Stellaris as a warmongering xenophobe. You can build your fleet and send it across the galaxy, wiping out or enslaving each new race you encounter. With 1,000 star systems to explore you can imagine hundreds of these small stories in a single game—some playing out close to home, others as you pierce the veil of the unknown along the frontier. Pink crystals, ancient precursor aliens, empty husks and ruins, mysterious space debris, even (if you’re lucky) humans. Dozens of civilizations all making their way through a crowded galaxy, a few evil or warmongering but most simply trying to discover how they fit into this great cosmic ocean. 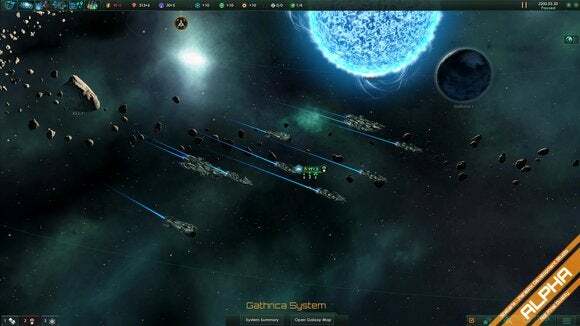 Similar to how Crusader Kings II’s much-loved Game of Thrones mod is better than any Game of Thrones game, I’m starting to think Stellaris will be better than any official Star Trek game. 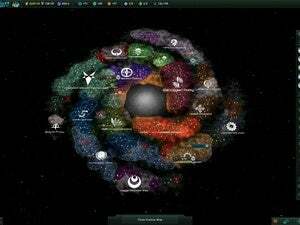 It’s not that Stellaris wholesale copies the Star Trek property, but it captures the spirit of Gene Roddenberry’s vision in a way few other video games have—space as a place to be explored, not feared or conquered. Space as our final collective frontier. 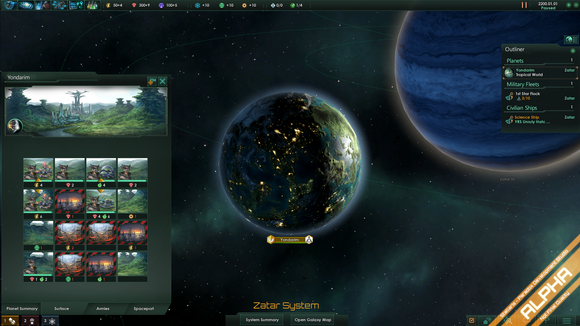 Stellaris will launch in 2016, Paradox confirmed during my demo—probably sometime in the latter half of the year. Side note: I fully expect we’ll see a Star Trek mod not long after Stellaris is released, and I look forward to it.